"Powerful tool with a couple of flaws"
The price is affordable for small businesses and it's great that we can have up to 4 users logging in at any one time. It's clunky; too many buttons to press to create a monthly report. It's a pain to schedule posts to various platforms at once as again it's a bit clunky. If the minor niggles were sorted it would be awesome.It currently can't report on Facebook ads. Affordable price. Time saver if you are manually managing multiple social profiles. It frees up time as we can create masses of social content at once. The reports are nice and customers love them. Thank you for taking the time to leave a review. I'm sorry to hear you have been experiencing issues posting to certain platforms. If you continue to experience these issues, please get in touch with our support team and they will be happy to assist. What I like best about this platform is it's simplicity. It is easy to schedule posts, view them in the calendar, and change any post days by simply dragging the post around in the calendar. It's little things like this that can be great time savers. There are 2 things I would change - and they are minor enough that it wouldn't sway my decision to use them. In the reporting, I wish we could choose how to show sections of information be it by graph, pie chart, or thumbs up or down with just the facts. Being able to manipulate it more would be nice. The other thing I would change is to be able to download your report into a PDF from the reporting page. At this time you have to email it to yourself in order to do so, which at least you can do that! It's a great platform and I highly recommend it! Sendible saves us so much time! One of our favorite features is the bulk scheduler, which allows us to schedule 30 different posts at once. Prior to Sendible, it took much longer scheduling our posts in advance. I LOVE the queue features and the content library. I primarily use Sendible for my Facebook platforms (groups, page), but there's so much more you can do. Truly, Sendible has many more features, but I pretty much just use those two. Now that I'm established in my business, offerings, and content - it's AMAZING that I get to recycle + repurpose older content with a few clicks. Seriously, so easy and SUCH a time saver! I wish I could unlock unlimited services to post to without paying more. I'd also love to see the ability to drag & drop or a "move" feature within the Content Library, as I'm constantly re-organizing and you have to create a new post in each new library in order to move a post. TIME. I love that I can send traffic to my site when I'm not at the computer and can still be a human brand by jumping into conversations in the comments. I would encourage you to visit our feedback portal and submit your ideas. This gives us visibility on what our users what. "Gestiona todas tus redes sociales desde el mismo lugar." La posibilidad de programar mensajes automatizados de todas tus redes sociales te permite ahorrar mucho tiempo. La integracion de mail y SMS es una de sus mayores ventajas, sendible tambien te da una serie de plantillas de boletines disponible. Poder realizar campañas de marketing por mail a traves de Sendible también es uno de sus puntos fuertes. Enviar SMS a los clientes te permite tener un contacto mas cercano con ellos. Soporte técnico muy bueno. No tiene acortador de URL incorporado. Su interfaz no es del todo fácil y necesitas un tiempo para controlar todas sus características. Después del periodo gratuito el precio es algo elevado. Es una buena herramienta si pretendes integrar el mail a la gestión de tus redes sociales. Poder gestionar todas las redes sociales desde un mismo lugar es el mayor beneficio de esta herramienta. Muchas gracias por tomarte el tiempo y escribir una revisión detallada. Sendible si tiene un acortador de URL incorporado. Si copias y pegas la URL en el Compose Box, se creará un link de Bitly automáticamente con vista previa. Si continuas teniendo problemas, por favor contáctanos y estaremos más que dispuestos a ayudarte. The sendible platform is very easy to use and to navigate. I love the fact that I can print reports that include the data we're most interested in, in addition to the pre-programmed reports. Takes a while to sync each time I log in, but the the other attributes of the platform outweigh this one issue. Test any product before you purchase. Scheduling posts on multiple platforms for two related companies. "Powerful concept for Social Media Management"
The queues. They are just great to arrange and schedule content. The german translation is more funny than perfect, but this will be resolved. We are an agency doing Social Media for our clients. I do like that it saves us time and I can schedule many posts weeks in advance! It allows focus in one area so that we don't have to complete this task everyday. The cons would have more to do with post not being sent to LI due to updating profile. They do this every so often. Maybe an update ahead of time so posts won't be held back. Take advantage of the training offered to the admin and users so that more than one person is able to use the platform. I can prepare and schedule posts 2 days per week and get work done ahead of time. "Excellent Social Media Scheduler and More"
Sendible offers a very comprehensive package of tools with social scheduling and reporting. Easy to set up and use, with a very easy learning curve. The browser extension while useful can be finicky at times. it does not always hide when not user clicks cancel. Social scheduling for my business and clients. Client reporting and content curation. Sendible is excellent for creating social media posts, content curation and creating reports for clients. In addition, the unified inbox and hashtag monitoring service and more make it an excellent all-round social media management tool. Thank you for taking the time to leave a review. We appreciate all constructive feedback we get. If you continue to experience issues, please don't hesitate to get in touch with our support team. "Very insightful platform for your social media marketer"
The ease of use when managing multiple social media accounts definetly beats out other platforms. The platform should have the option to post on your story. Being able to easily manage accounts as a marketing agency the flow of work is more efficient. I love that I can decide how often to send a share and even do so to multiple social sites at one time. It makes the process fast and easy. Nothing it seems to work well with minimal down time or problems, the extension for Chrome works flawlessly as well. "Sendible, controla tus redes sociales." Lo primero que destacaría es que ademas de poder controlar tus redes sociales en una misma pantalla o panel de control tambíen puedes controla tu cuenta de mail. Te da la posibilidad de medir lo efectivas que pueden llegar a ser tus campañas en redes sociales o en mail. En el mismo panel de control puedes controlar las menciones, hablar con clientes y tener un control exhaustivo de clics. Con el plan de pago puedes llegar a enviar SMS a clientes, es una opción que no poseen todas las aplicaciones de gestión de redes. Cada paquete de pago tiene una versión de prueba de 30 días, por lo que tendrás tiempo para decidir cual es el que mejor se adapta a tu empresa. Por último destacaría su soporte técnico que es bastante completo, con chat, mail, foros, videotutoriales...etc. Si quieres conseguir todos los beneficios de Sendible estaras obligado a pagar, y eso siempre es una desventaja, los paquetes de pago son algo caros. Solo se puede programar con 30h de antelación y eso si tu intención es hacer un planning semanal o de mas de un día te resulta un inconveniente. Si tu empresa se dedica al marketing y a realizar campañas esta es una de las mejores aplicaciones. Controlar todas tus redes sociales me ahorro mucho tiempo dentro de mi empresa. Siento mucho que tengas dificultades con los mensajes programados. Sendible te da la opción de agendar mensajes con antelación sin restricción de tiempo, no estas limitada a las siguientes 30 horas. Puedes hacer tu planning semanal o mensual sin ningun problema. Si continuas teniendo problemas, por favor contacta nuestro Equipo de Soporte y ellos estaran más que dispuestos a ayudarte. "Sendible is super user friendly and I LOVE the email notifications without being on the dashboard. " My favorite part of the program is not only how quick my contact is at answering any and all questions, but how user friendly the dashboard is! I dislike how limited the base program is. I understand why, but we have a small property/office so we do not need any upgrades. We are getting to see what our competitors are doing/offering with one click! It's super convenient. Sendible is a great central location for all of my social media accounts. I was a little slow at first figuring out the ins and outs, but now that I know what I am doing it saves me tons of time. A central location for multiple people to be able to post to the same social media accounts. "Best social media platform out there"
I've been using Sendible Pro for 5 years now - it helps me manage all of my client's lists with ease. I love having access to all of the blog content on the web - being able to share educational content is very important to my business. I like how they're always responsive - working on improvements, proactive in identifying issues and fixing them, and staying current. I especially appreciate the repeat option so I can set and forget repetitive marketing based on hour, day, week and year. The library and draft areas are great to work from as well. Highly recommend to other agencies! Finding useful content to share is always a concern. Sendible does the heavy lifting for me. "Great concept and vision, but a little rough around the edges"
I love the approval process for getting social messaging out. I love that they come to my inbox and I can manage them from email or login to sendible to approve the queue. We have a nuanced product and often times the messages require some tweaks. This process saves me so much time and headache. The web version is a little clunky. Often when I approve a message I have to refresh to see it leave the queue. I also wish I could edit the social messages from the email message. I can only accept or reject. I need to login to perform edits. It's an extra step that I don't see as necessary if I want to make a quick change. I'd recommend using it if people outside your company or with limited experience in your industry are driving your social media programs. It creates an effortless way for messages to be created, approved, and posted. We're outsourcing some of the social media to an outside agency. We are a tech company in a complex market. The approval process creates a streamlined process where I can tweak messaging without spending a lot of time over phone or email to make sure our messaging it on point. "Really great to manage your content on Google My Business"
Sendible is the best platform that lets you update your Google My Business content. At the moment I don't have any dislikes because I have only been using it for a couple months. It would be cool to see a generated GMB post before it goes live. For a beta, the Google My Business Service is more than helpful, especially because there are not many platforms that offer this service. We use Sendible to update our GMB content weekly by location. If we didn't use sensible we would have to go to each location and update them manually. "The best of an imperfect field of social media management solutions"
The bells and whistles rise to what you would normally expect from an enterprise solution. Things such as an approval workflow (as basic as it is) are available on lower tiered plans, the reports feature is robust and highly customizable with GA Analytics integration available as well. The publishing system is straightforward and easy to use, providing the ability to save drafts that are easy to navigate back to (unlike Agorapulse, which makes this process astoundingly tedious). I appreciate the tabs being in a vertical sidebar similar to Sprout Social, which lends to making it easy to click around. The content discovery works well and allows custom RSS feed additions so I never have to go back and forth between that and Feedly to find content to curate. There's also a universal bookmarklet and Canva integration too, while monitoring is enhanced by integrating Google Alerts and offering email notifications when there's activity on a handful of review sites (with more available if you sign up for ReviewPush). The mobile app, at least for the iPhone is clean looking and obviously well supported, unlike MANY SMM sites that either don't have mobile apps or have one where it seemed to be treated as an afterthought. It was about as well rounded an SMM as I've been able to find. The connection profiles are really bizarre as well. Rather than a single connection for each social profile, in order to integrate all of a single Twitter handle for example, you have to connect at least SIX streams. It makes things incredibly tedious when you have a lot of social channels to manage. Things such as customizing a dashboard for a manager/supervisor who only needs to see content waiting for approval, bit.ly and media library integration are locked behind their far more expensive plans. The dashboard is less customizable than I would have liked, with no option to change settings affecting things such as Trending Topics. The YouTube stream is also very basic, unlike Agorapulse, activity there will only show up in your Priority Inbox, whereas on Agorapulse you can see all comment and other activity in a stream similar to Twitter and Facebook. To paraphrase a Churchill saying, Sendible is the worst SMM solution... except for all the others. I've tried many platforms, and short of an enterprise solution, Sendible was the only one that was able to cover as much ground as I needed covered without fragmenting management of my company's social profiles across having to use a variety of services. Consolidating as much of social media management (from publishing to monitoring to reporting/analytics) to under one umbrella as possible. Thank you for taking the time to leave a review - we appreciate the in-depth feedback. While we are continually working hard to improve Sendible, I would encourage you to visit our feedback portal to submit any ideas you have on what you want to see from us. This allows other users to vote on your ideas and gives us visibility on what our users want so we can get to it sooner. I love how easy Sendible makes scheduling. I can always count that my posts go out on time with no headache. I especially love their analytics for sharing data with our board members. It breaks it down very easily for anyone to understand. Do it. The worst case is you sign up for the trial and cancel. But it is by far the best scheduling product for price point. I can easily schedule ahead of time with allows me more time to focus on advertising. The analytic reports are worth the price alone. Thank you for taking the time to leave a review. It's great to hear how you love using Sendible. In regards to LinkedIn and Instagram, we are continually looking at ways to improve these integrations. If you have any ideas as to what you would like to see from Sendible, I encourage you to visit our feedback portal. 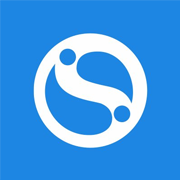 "A great tool for agencies "
Sendible is a great tool for managing multiple accounts at once, creating reports and approving content from team members. The only dislike there are some tools missing like content calendars. Providing in-depth and easy to read reports. The ease of use and the ability to edit the content that I am sending out. The best part about Sendible is the clean look of the website. Other programs were too cluttered, which made it difficult to use. There are a lot of features on Sendible that I haven't even begun to use. "It's like it was designed by social media managers"
Our favorite feature is the ability to place a piece of content in one post and then customize per channel based on the best practices of that channel. i.e. Hashtags in Instagram, no hashtags in Facebook, etc. Also, the monitoring and content curation portions are really helpful. Using video with Instagram is problematic - both with loading and not being able to insert a thumbnail. Do the trial - play around with it. Some of it isn't intuitive, but keep at it. We found that almost all the features we wanted were there, we just had to dig for them a bit. Sendible provides our team with an efficient tool for creating, curating, and monitoring content for a multiple list of clients and saving us a huge amount of time. I understand your frustrations with Instagram. This is something we are aware of internally and will be looking into. "Makes Posting and Reporting a Breeze"
I love that I can post across multiple social media channels with ease. And, within one post to multiple channels, I can edit each channel to suit if needed. e.g. remove a link from Insta. I am also liking that I can post right to instagram without having to go into instagram on a mobile device to post. The new Google My Business post feature is again making time our friend. It's pricey but worth it. I haven't experienced any real issues with Sendible so have no negative feedback to share :-) The only thing I can think of is that I don't have enough time to sit down and discover all of the features/functions and how to use them. There are so many functions available but we haven't investigated or implemented all yet. Looking forward to some time to learn more of the benefits. Once you try it you'll want to buy it! The most obvious is that we can easily post across multiple channels with a click of a button. The reporting functionality is a real time saver. It's so easy to create a report and then schedule it to come to us as admin each month or send directly to a client. The clients like the reports as they are easy for them to understand, that saves us time in lengthy explanatory conversations! "Software is helpful - Customer Service is Lacking"
I appreciated the early days of Sendible when I could make a request and work with a team that heard me instantly, valued my communication, and were able to take action right away. Along with, the constant revalidating our login info for our social accounts. The Customer Service is extremely lacking and has taken quite a nose dive in the last couple of years. There was an issue with our being able to access a report that we've been accessing weekly for the years (yes, years) that we've been using Sendible. It took 4 Customer Service reps to even "understand our request". It's as if customer service is not a USA based group so communication seems to be a real issue. When we were finally "heard" and semi-understood, it took 3 weeks (21 days) to get to a solution. During that time ONE customer service rep, would keep me updated on what was happening. While two more, would ask me to explain what my issue was (repeatedly). When that ONE rep was at work, things seemed to be progressing. But, when he wasn't - nothing happened and the project to fix it was placed on the backburner and then even had to be restarted from the beginning. I feel the language barrier is a big issue. And, I feel that now that they are bigger that we are "just a number" and there's no sense of urgency with their Customer Service. Rachel Orr, their Customer Service Manager, definitely does not listen or read the context of her emails and also requires several communications back and forth before she "gets it". That might be setting the "tone" for the whole Customer Service Department. I cannot recommend Sendible now until the Customer Service team is retrained. When reporting is working, it's a good source of information and a good tool. I'm very sorry to hear you have had a bad experience with our Support Team. I can assure you they are working hard behind the scenes to ensure our customers are listened to and taken care of. We take pride in how good our Customer Success and Support Teams at Sendible are, so to hear you are not happy is something we would love to change. Please feel free to get in touch with Rachel as she would appreciate your feedback and would be happy to pass it on to the wider Support Team. I like that the software has stopped me having to run my day around social, I can easily schedule posts that go out across my network and respond to any comments all in one place. In all honesty, not a lot, the product is pretty bang on and if there any issues these are communicated well and timeframes given for fixes. It saves me time in terms of managing my social media, and then it also improves my social presence. Thank you for taking the time to leave such a positive review! It's wonderful to hear how Sendible is saving you time and making your social media management easier. Sendible provides my team with great analytics reports! It is also very easy and fast. I can post and keep track of all of my social media, from one platform. Sometimes Sendible randomly disconnects from my social platforms and my posts do not go through. Sometimes I am made aware...sometimes I am not. The Instagram feature still does not work...although I understand it is a work in progress. Videos also sometimes do not post correctly, most of the time I post videos using the social media platform itself, instead of Sendible. Easy to use, saves times, and takes the work out of measuring! As a marketing firm, we handle a lot of social media accounts. It saves us A LOT of time! Doing it all from one place and usually at one time. "Intuitive Social Media Management Software"
The easy to use interface makes it simple to schedule and edit posts as well as monitor and track engagement all in one dashboard. Ability to toggle between user dashboards makes it easy to track teams performance. Reporting features and metrics are not always consistent across platforms. Wish there was an option to track ad performance within the dashboard. Sometimes we come across minor glitches when scheduling, images don't always properly load or content/words get duplicated when typing. Take advantage of all the advanced features available - do a few tutorials with their team reps.
Sendible helped us become more efficient and spend our time more wisely on strategic planning rather than on scheduling/execution. Thank you for taking the time to leave a review. I'm sorry to hear you have been experiencing issues when reporting and scheduling. Please don't hesitate to get in touch with our support team when you have a problem, they will be happy to help. how easy it is to schedule on many social platforms! Nothing! I really love using Sendible for all of my social scheduling. I am able to upload consistently and in a timely manner thanks to Sendible! If it wasn't for you guys, scheduling would be really stressful! "Sendible is an Excellent Way for Agencies to Manage Social Media Posting"
We had used a few other alternatives to Sendible to schedule postings for our clients on G+, Facebook, Pinterest and Instagram. We changed to Sendible after touring the interface. Their calendar interface makes it easy to check within a few seconds the upcoming posts. It was the reason we switched and so far we are happy we did! At times the Service list connectivity between our team members doesn't function as it is supposed to - there are permission issues that seem to iron themselves out after a little while. This can be frustrating when we onboad a new client and our team begins to work in earnest on future postings. Being able to schedule out posts is their number one feature - but we also enjoy the ability to repeat posts every month, week or even every 6 months. This allows us to maximize our time, and isnt that what any good tool is supposed to do? We used the approval process a lot at our company and it worked wonderfully. I also like that you can manage multiple platforms and track specific keywords and campaigns. It can be difficult to review posts and see "Listen" since they appear visually so different on Sendible vs. their native platform. We schedule posts across several different platforms and our marketing team are all able to see when and what is going out. We needed a centralized software to create efficiencies for work and transparency across teams. 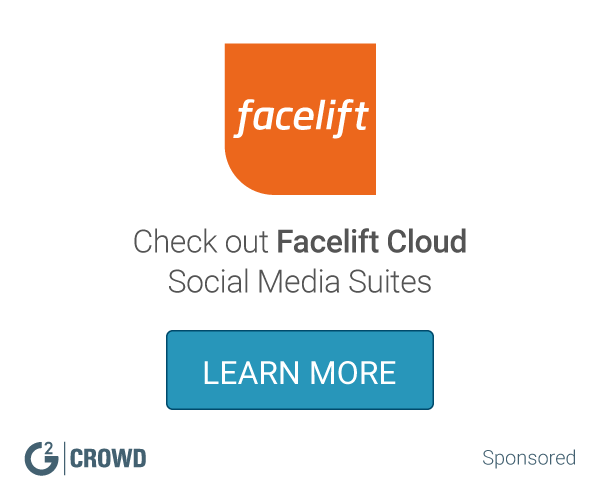 "Great Ease for Organizing Social Platforms for Business. " Using Sendible has made communications between the social media team at our company much easier. We are able to send ideas for approval and edit one anothers work when necessary. This platform helps us to reduce error and keep our posts organized weeks in advance. The stress of having to worry about Facebook and Twitter posting has been alleviated. With Instagram we get an email reminder with the post information so that makes it easy as well. The suggested post time algorithm has been very helpful lately with Instagram especially. The one thing we would like to see is being able to send posts for approval to more than one person in a single message. This would allow our three person team to communicate seamlessly. Even a group chat would be nice. Also, it would be nice if Instagram would post without the extra step, but we realize that is not an issue with Sendible. The calendar feature is extremely helpful and you can share your posts with the whole team. The algorithm for best posting times is essential in getting the best reach. Easier to collaborate than other scheduling programs. Again, the posting algorithm has been very helpful in boosting our posts and getting us more views and likes with our customer base. This has been our biggest struggle prior to this algorithm. Thank you for taking the time to leave a review. We're loving your ideas on how to make Sendible even better. Do add them to our Feature Request Portal for review. Thanks for taking the time to leave a review. It's fantastic to hear how Sendible is making your social media management easier. "Awesome Service w Better Features"
How EASY Sendible makes posting to multiple accounts and being able to see whats in the queue without issues. nothing thus far. Once I learned how to really use it I have zero complaints. Thank you for taking the time to leave a review! 🙂 It's great to hear how Sendible is making your social media management easier. "Great whitelabel tool for social media management." Sendible offers the best white label social media management solution by far. The post scheduling and reporting is absolutely game changing for our clients. I would prefer that each social media stream more directly resemble the look and feel of that individual network as opposed to having all of the social streams pulled into a single inbox. Sendible allows us to provide our clients an in-house solution with best in class functionality and information, while solidifying our position as their agency for years to come. It's great to hear how Sendible is making a difference to your clients' social media management. "One of the best social media tools for marketing agencies"
Linking services can be cumbersome, sometime requiring multiple attempts to achieve the desired effect. My only problem with sendible is the cumbersome service linking system. Please make that an easier process! If it were more intuitive, I wouldn't need to spend time teach team members and staff. It provides great insights into audience engagement, helping us better manage the content we create for our clients moving forward. I'm sorry to hear you've had some problems connecting your services. If these problems continue, please don't hesitate to reach out to our Support Team who would be happy to help. "Sendible is an outstanding social media management tool for marketing agencies"
There is nothing that I dislike about Sendible. Easy to manage, good user experience and easy to schedule large amounts of copy. Great support staff willing to work through your problems with you. A little confusing to use as a team since each account is synced to an individual profile. Scheduling large amounts of content to multiple pages. The ease of use and that you can schedule your posts so you never forget to make them. The 'peak time tool' only shows me hours in advance not the best time to post based on the time I'm looking at. For example, I'm looking for the best time to post around 9am but the peak time will suggest posting at 3:45pm which isn't useful when you want to post more than 1 post a day. 3. You can post at peak times when the most people will see your tweet. Please don't hesitate to get in touch with our support team should you continue to have issues with posts failing. "Very easy platform and works smoothly to save time!" Time, the ability to set posts up for future posting at a time that is most convenient for me. Easier access to other shareable content. Both of these things have been easier for me. It's great to hear how happy you are with Sendible and how we have achieved one of our goals in saving you time. I like that I am able to create posts for multiple accounts that I manage and have them go out when I want them where I want them. I wish that my inbox wasn't as buggy as it seems to be and that it was easier to create tags for Facebook posts. I like that Sendible saves me time by allowing me to manage several accounts from one platform. Thank you for your positive review! 🙂 It's always great to hear how we're saving our users time and making their social media management easier. I'm sorry to hear you're having issues with your inbox. Should this continue, please don't hesitate to get in touch with our support team and they will be happy to help. Sendible is easy, effective, and makes my schedule much more clear! Wish there was an option to post an album of photo's for instagram the way we can do that through the app! Thank you for taking the time to leave a review. I'm happy to hear Sendible has made social media management easier for you! The communication with the Sendible team is very easy and reliable, and they are really oriented to the customers' needs. There are some weaknesses that are comparable to other tools of similar standards and pricing. I missed, e.g., a campaign planner where I can note upcoming dates without concretely planning posts. Managing the Social Media platforms of a cultural institution. I think it's quite comfortable to have an overview of all our channels in one place. I am sure if Social media would have a higher priority here I could have spent more time with the programme making it even more benefitial for our needs. Thank you for your positive review. It's great to hear how happy you are with the communication and help from our team - this feedback will be passed on. "Sendible Needs to Upgrade Alongside Facebook"
I love how easy social media management has become! Everything is at my fingertips. Thanks to Facebook updating their third party publishing access, Sendible no longer works properly. Thank you for leaving a review. I'm sorry to hear you no longer want to use Sendible. Unfortunately due to the changes that Facebook are making to their API, you are no longer able to connect your personal Facebook profiles to Sendible, however this will not affect Facebook Business Pages, Groups or other Facebook services. If you would like more information, please get in touch with our Support Team via email support@sendible.com and they will be happy to help. "Gets the job done quickly and efficinently"
Nothing comes to mind. It is a rather great product. Pricing could be better but you get what you pay for. Being able to constantly engage and monitor our brand across social media. "Sendible is a Viable Option for Media Sharing"
Not as reliable as Hootsuite. Tends to disconnect pages. Definitely keep on top of your clients' accounts to ensure properly scheduled posts. Sometimes Sendible disconnects accounts without you noticing. Social media management, mainly! Send and scheduling posts is a cinch. "Great tool for small businesses to manage social media"
Sendible has an array of great features at an affordable price for small businesses. I especially like the fact that I can track engagement, curate content and view metrics in one place. It also integrates with google analytics so I can also view my website analytics in the same place. The chrome extension is also great. All in all a comprehensive social media management tool. There’s nothing that really springs to mind at this point. I’m able to track the engagement that my social media efforts are attracting. "Multiple SMM channel management made easy "
Scheduling new Posts is made easy and having a complete overview at all times is fantastic. The UX (user interface) could be improved. Keeping up with all customer engagement and being able to respond promptly has hugely increased traffic and reviews. "The Bulk Scheduler is great but could be better"
Bulk Scheduler. I wouldn't use Sendible if it didn't have the bulk scheduler. Could make it better by allowing me to save the content more easily. I'd like to save the content that I have entered into the bulk scheduler in order to make changes for adding the content to a different platform (such as adding hashtags for Twitter). When Bulk Scheduler doesn't work right, and that Facebook posts don't perform as well when using Sendible. I don't like that I can't save the content to repost to a different platform but change the copy slightly (such as add hashtags). I don't like that Facebook posts are known to not have as great engagement when the posts are scheduled via Sendible, and that we are discouraged from using Sendible for Facebook posts. The Bulk Scheduler has gotten better but due to recent errors I cannot rank higher and also wish I could use Facebook with the app. I also have been having issues posting content is both Spanish and English - Sendible is recognizing as duplicate content even though it is not. Wish that it saved content more easily when I want to repost same content but with different copy such as hashtags. That I can schedule across multiple platforms at once. That it isn't immediately obvious if a post bounces. It makes social media management much easier! Able to schedule posts for clients throughout multiple platforms without having to create a separate post for each. * We monitor all Sendible reviews to prevent fraudulent reviews and keep review quality high. We do not post reviews by company employees or direct competitors. Validated reviews require the user to submit a screenshot of the product containing their user ID, in order to verify a user is an actual user of the product. Hi there! Are you looking to implement a solution like Sendible?